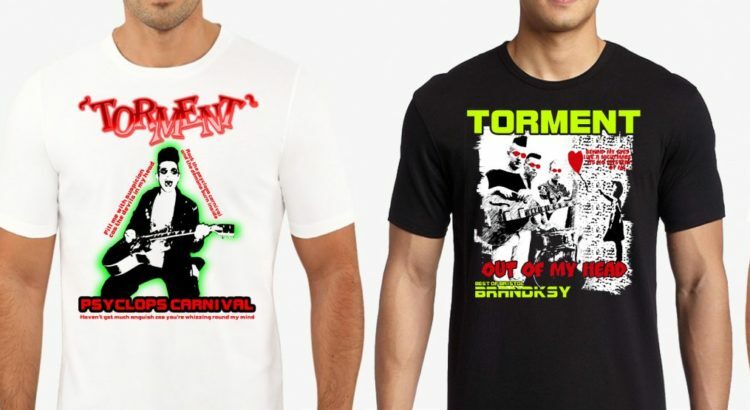 What NEW Torment tee shirt design do you want to celebrate the historic Torment ‘Tribute’ show at this year’s Psychobilly Meeting? We asked Kevin Haynes Torment’s drummer to recreate some designs based on the lyrics from some of the Torment Classics, these designs are exclusive to ‘Just for Fun Promotions’ ONE black and ONE white tee shirt design needs to be chosen, and we want you to choose. You tell us what you want from the 4 designs and the most popular will be produced (in both male and female fit) to be purchased from our shop online at our website www.psychobillymeeting.com and they will also be sold at our Merchandise stall throughout Psychobilly meeting. Cheers Andy, your input is much appriciated!